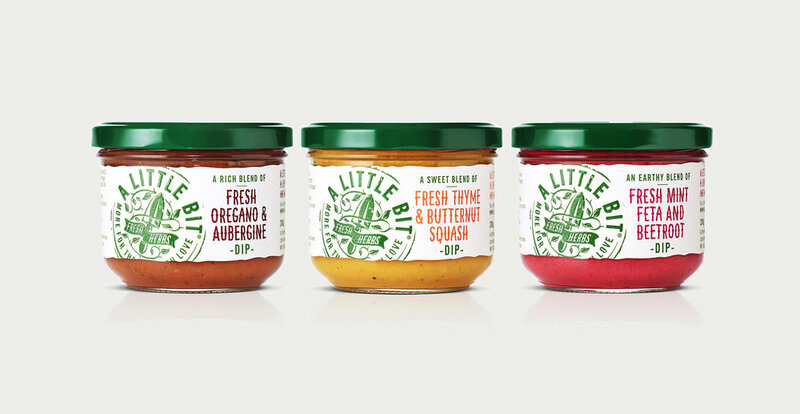 A Little Bit approached Design Happy to look at refreshing the existing brand of sauces and dressings as well as extending the design to include a new range of dips. The current design had some success but it’s unique brand promise wasn’t coming through. 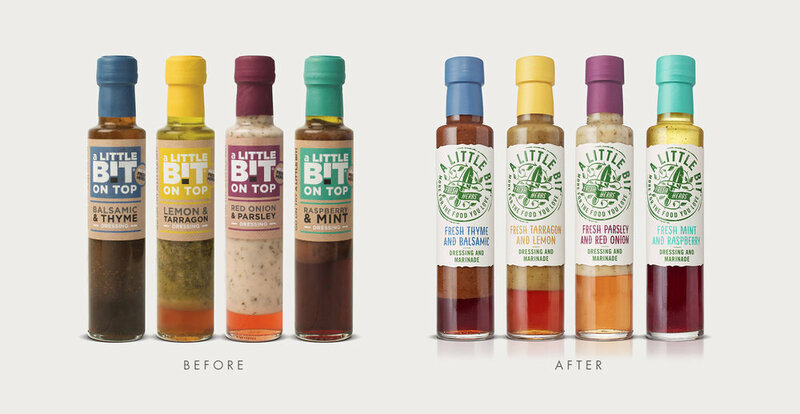 Where A Little Bit differs from other sauces and dressings is the use of fresh, not dried herbs. 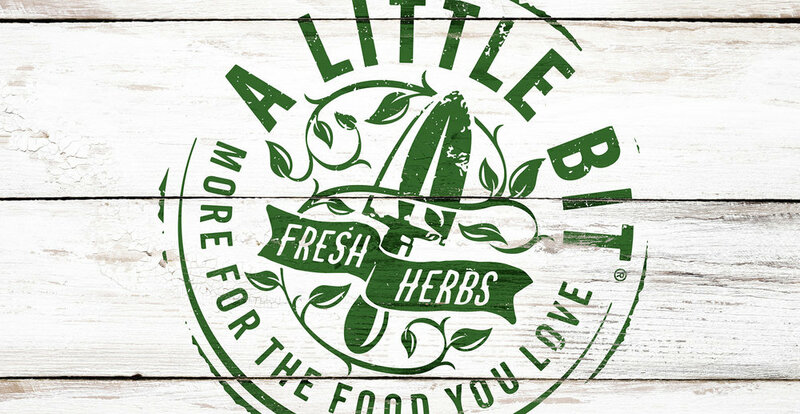 We crafted a new master brand identity that had fresh herbs and homegrown gardening credentials at it’s heart, giving each pack a personal touch as if lovingly branded by hand. "I couldn't be happier with Design Happy. They are full of fantastic design ideas as well as being a really great team to work with. Nothing is too much trouble and they produced everything on budget and on schedule. Since their re-brand I have seen a huge increase in orders and have received so many great comments on their designs. I cannot recommend them more highly"